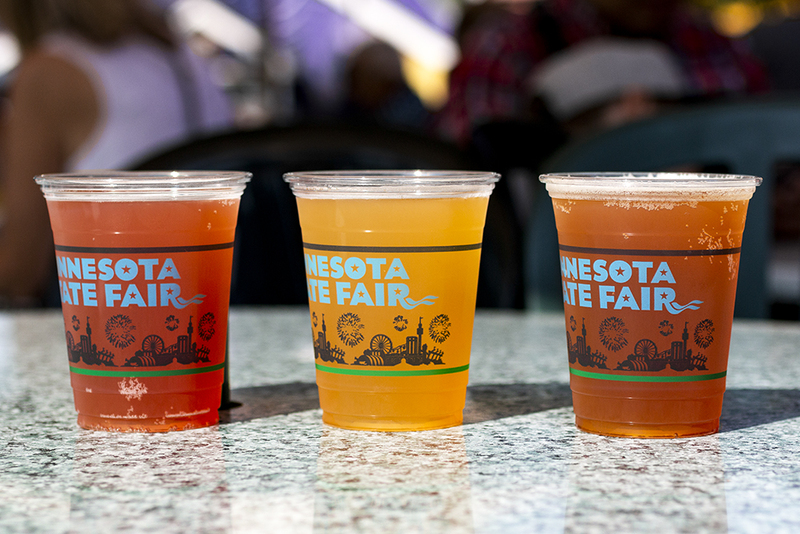 2018 makes the biggest lineup of new craft beverages ever at the Minnesota State Fair. 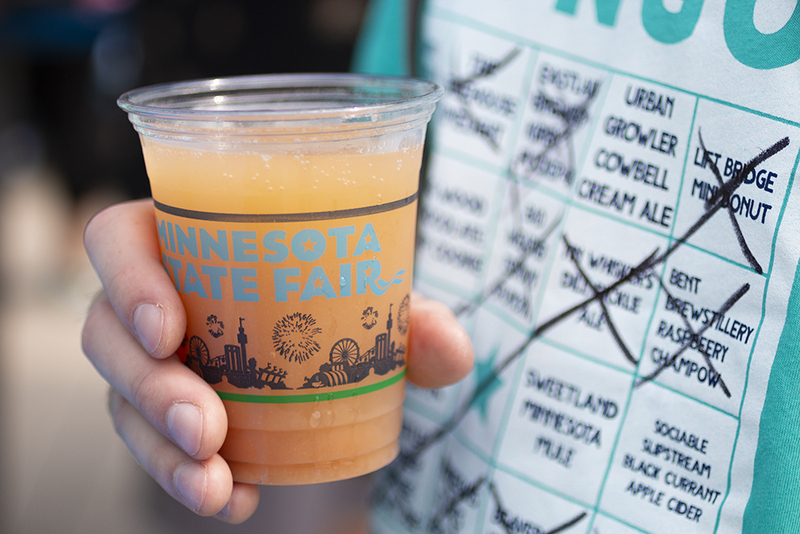 We sampled 27 new drinks—a wild array of beers, ciders, and wine cocktails made with fruits, vegetables, vanilla, sugar, spice, and everything Minnesota nice. Here are our tasting notes (listed alphabetically within each group). 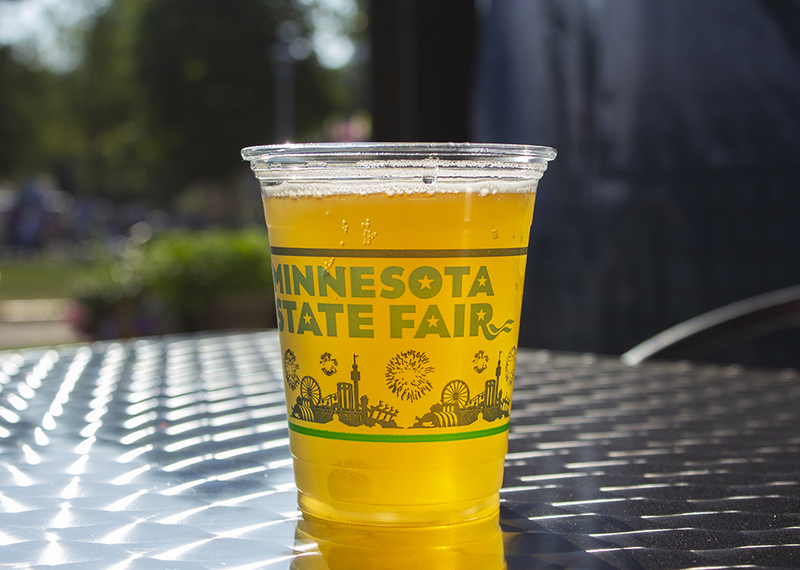 You can also find our Complete Guide to Beer at the 2018 Minnesota State Fair for a comprehensive list and map, and tasting notes of every new food at the Minnesota State Fair here. 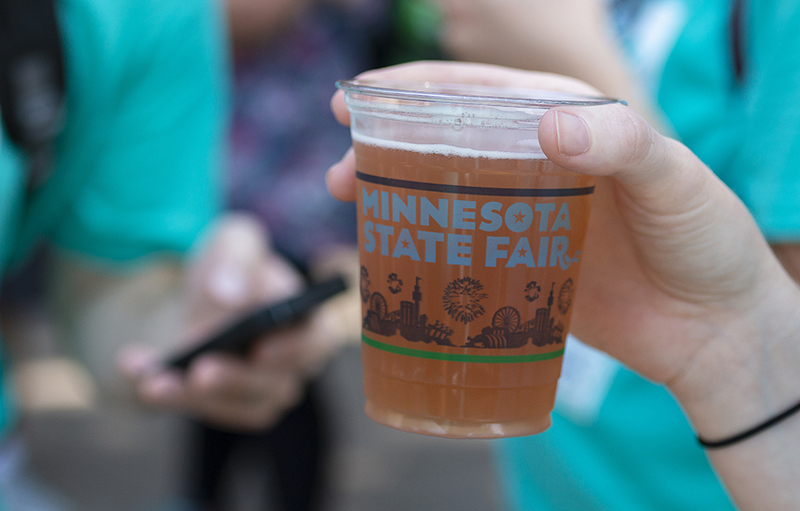 This one pretty well encapsulates everything a good State Fair beer should be. It’s visually appealing, with an inviting deep magenta with a lively white foam, and has a lush raspberry aroma and intense berry flavor framed by huge acids (the menu claims “Champagne-variety grapes” are in the mix), all packaged in a soft sip that turns absolutely bone dry by the finish. It’s bombastic yet balanced. Super fun. 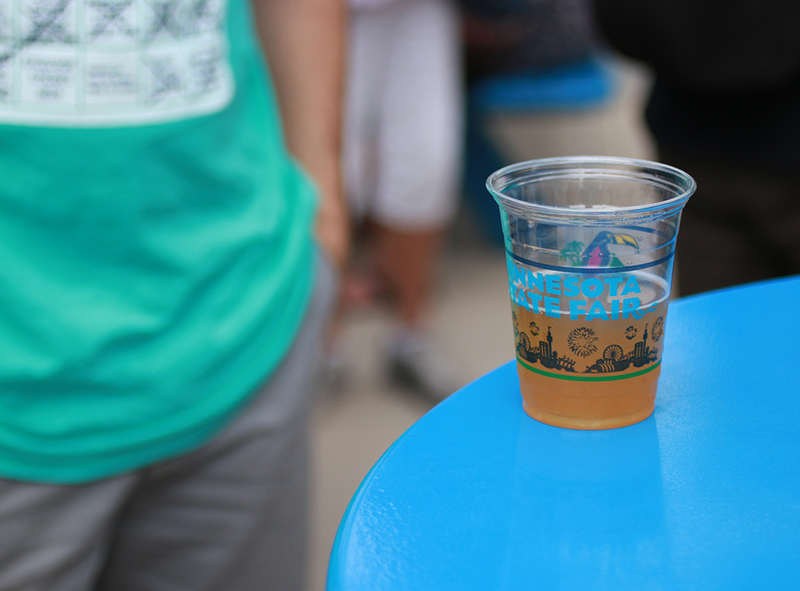 Bent Paddle has had good luck with Fair infusions and this newest effort might be the best of them all. 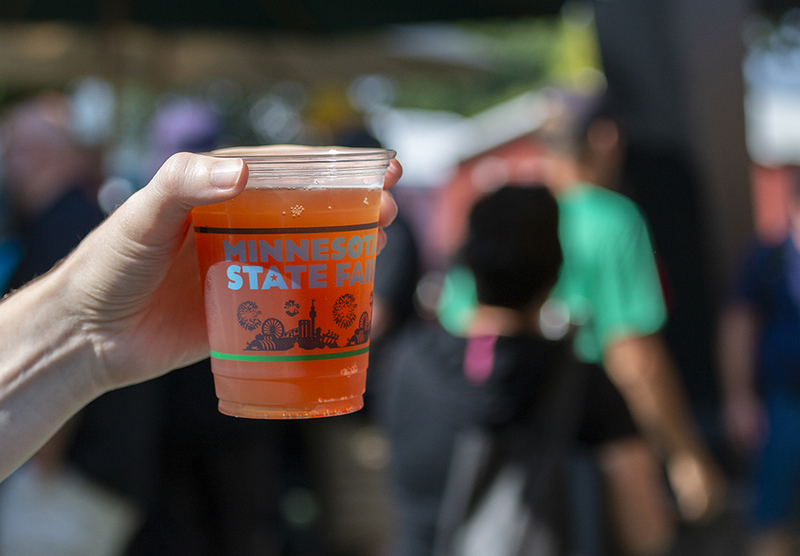 A strong passionfruit aroma leads in to a sip of sweet melon and peach flavors, a concentrated core of pulpy sweetness that is quickly overtaken by a sharp bite of acidity on the finish. It teeters on the edge of imbalance but pulls off the balancing act with aplomb. 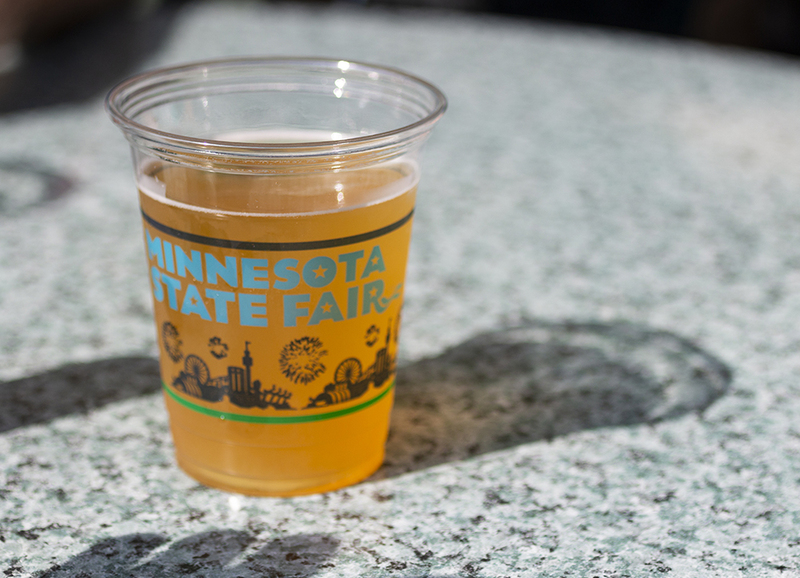 This peppy apple ale shows off its malted character in its full-bodied mouthfeel. The body is full of intense apple flavor with some earthy cinnamon hanging out in the background (it’s billed as being made with fruit and spices from Minneapple Pie). Bright and zesty and totally refreshing, it’s punchy and direct, and tailor-made for onion rings. The rebound success of 2018. 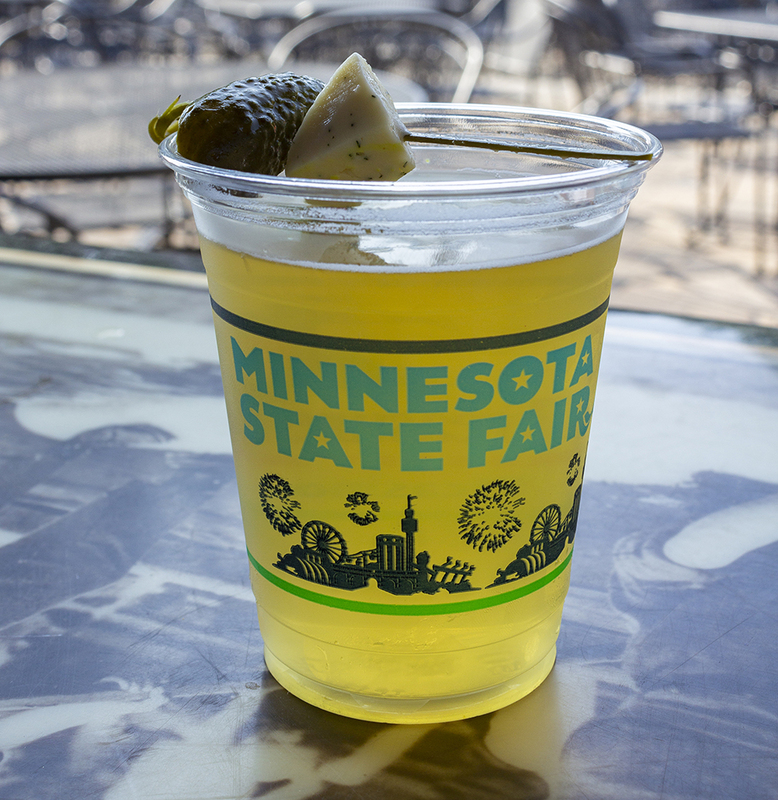 Tin Whiskers takes over the Dill Pickle Beer duties at Giggles and makes it soundly better than it’s ever been. We still hate the cheese garnish (alcohol is a solvent, no animal fats in beer! 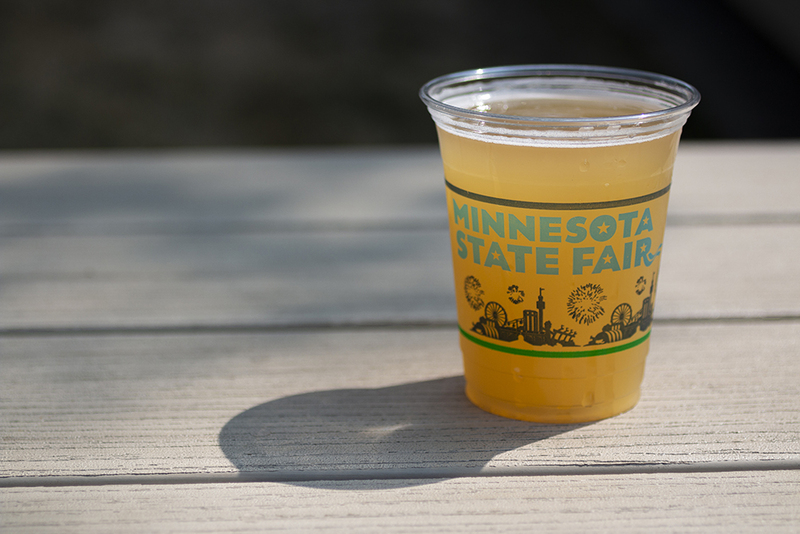 ), but if you pluck it out quick enough, you’ll get a light, straw-colored beer with a fresh dill aroma you can smell at the top of the Ferris wheel. It’s well-crafted and features only a whiff of vegetable and herb on the bones of a beautiful, dried out German beer with fine minerality on the finish. The cornichon adds a nice briny tang. Delicious. Much like last year’s rendition, this is one of the best craft shandies you could ask to drink. An easygoing strawberry component adds some tannin, the lemon flavor is pure and persistent, and it’s well-balanced with a lip-smacking finish. A perfect complement to a mountain of garlic fries. We had very low hopes for an Edelweiss wine cocktail but found we couldn’t stop sipping this one. The wine skews sweet, but an intense gingery flavor knocks it down to size. Acids comes on at the finish, and its fidelity to the Moscow Mule flavor is striking. 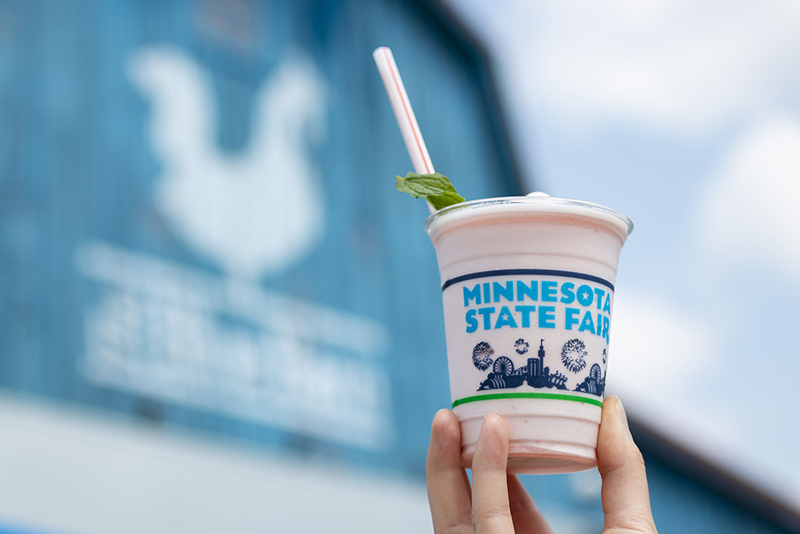 A big ol’ icey cup full of citrusy joy. 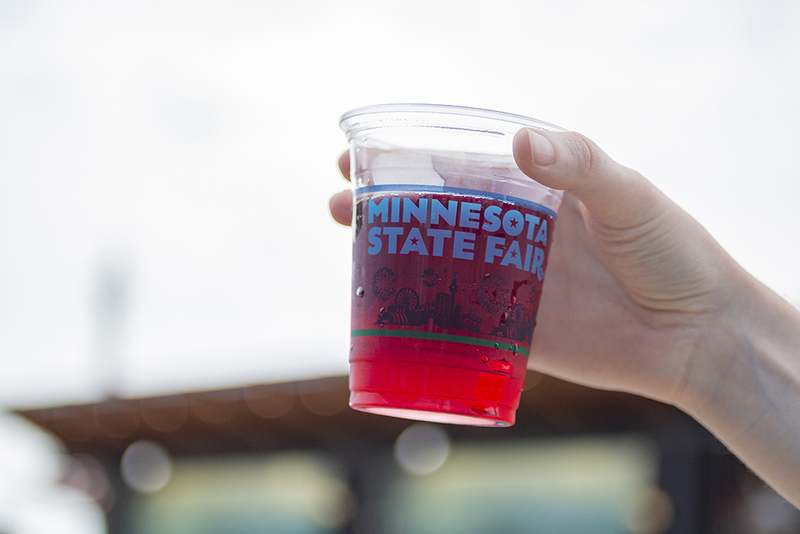 We kind of hate how much we liked this flavored malt-beverage slushy, but maybe that’s kind of the point of the thing. It’s unabashedly fun, from its little puffy crown of foam to its generous fruit flavor and minty coolness. It’s sweet enough—and we’d forgive something called a “Fro-lé” for being too sweet—but it’s not, and the way it melts in your mouth? Yum. There’s nothing “Gaelic” about it, but that’s where our complaints end. 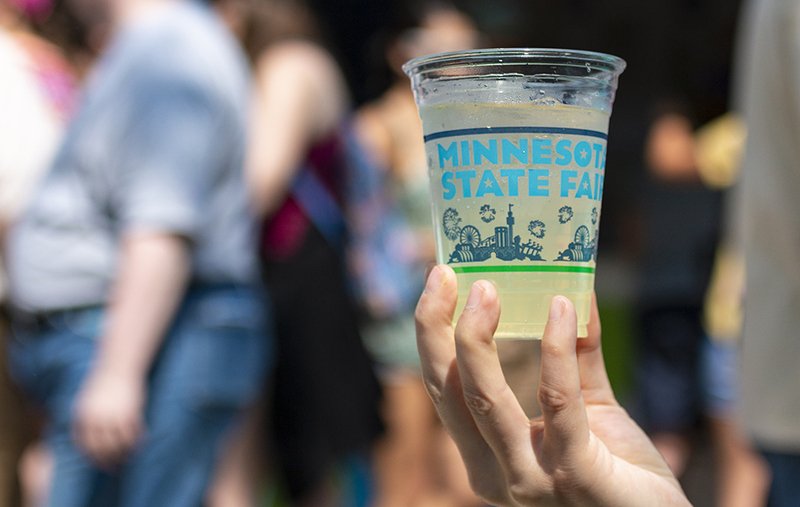 Some faint lime on the nose leads into a zesty sip full of lime and ginger. It doesn’t taste like rum, but it’s well balanced, and turns dry and bitter towards the finish. Zingy and refreshing. 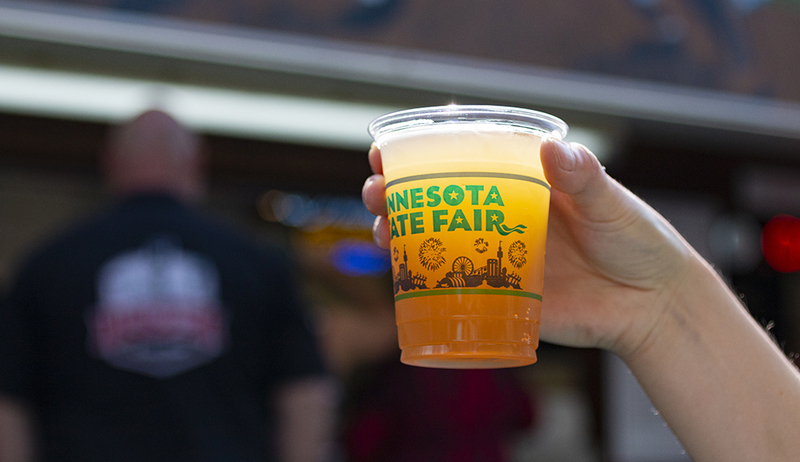 The already-terrific Castle Danger Cream Ale gets a small dose of citrus for the Fair. 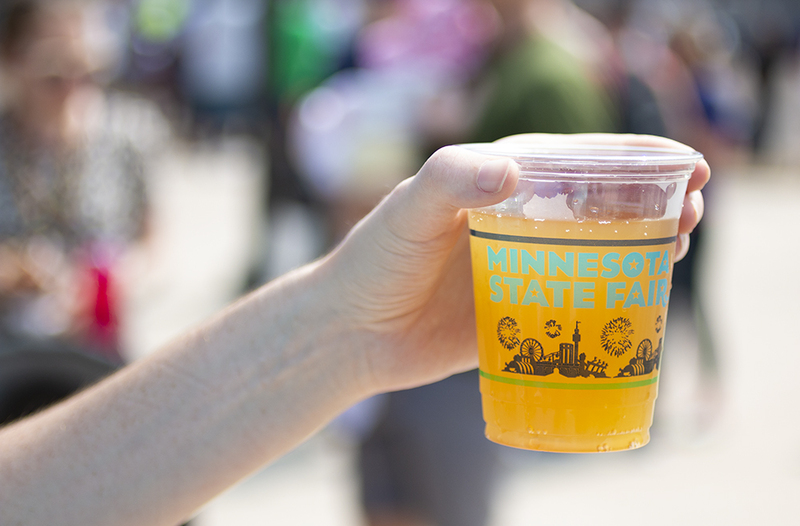 We get some Dreamsicle in the aroma and soft pithy fruit on the sip. A great beer with a tiny twist. Not revolutionary, just tasty. Nothing crazy about this one, just a straight-down-the-middle, crushable summer ale from Fulton. 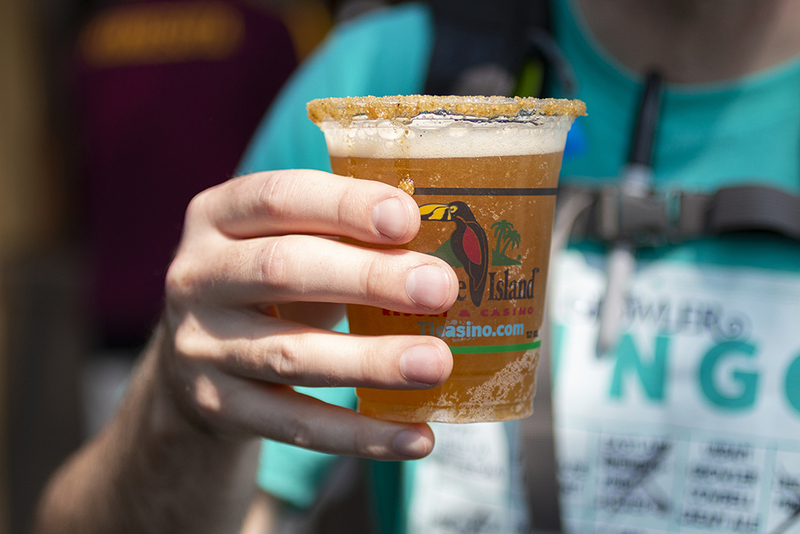 This isn’t the first funnel cake beer, but it might be the best. Dark tan with powdered sugar on half of the rim, it’s mouth-coating with just enough sweetness on the finish to complete the illusion. This one had “stupid gimmick” written all over it, but damnit if they didn’t—kind of—pull it off. The color is yellow as birthday cake sponge and the aroma is an over-the-top Pillsbury vanilla frosting straight from the can. But the body is totally different—dry, biscuity bread, no sweetness, and a patient bitterness that comes on late. If you like French vanilla creamer in your coffee, you’ll love this. A beautiful dark ruby color with tannic berries on the nose. This thing is intense—massively bitter to start, and a biting, sweet-and-sour tug of war ends with some nice sweetness. One of the more challenging drinks of the day and mighty refreshing. 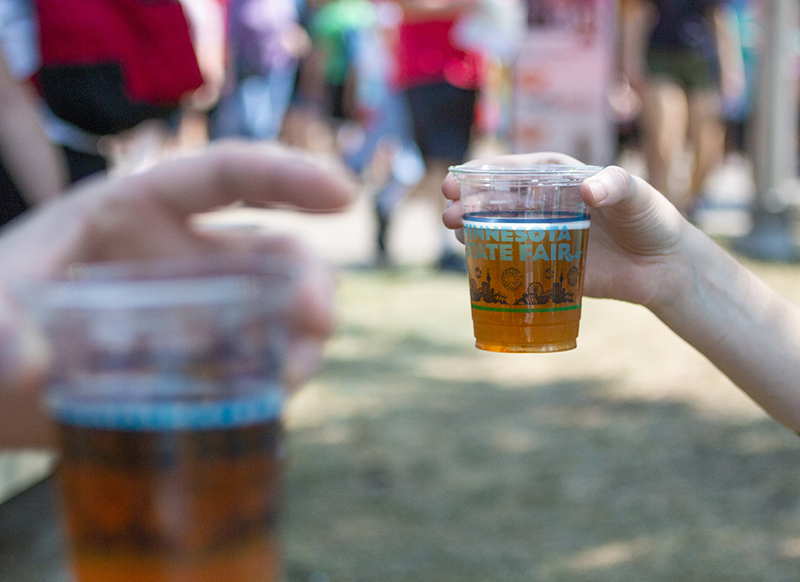 Beautifully crafted, reluctantly flavored: that’s Summit’s M.O. 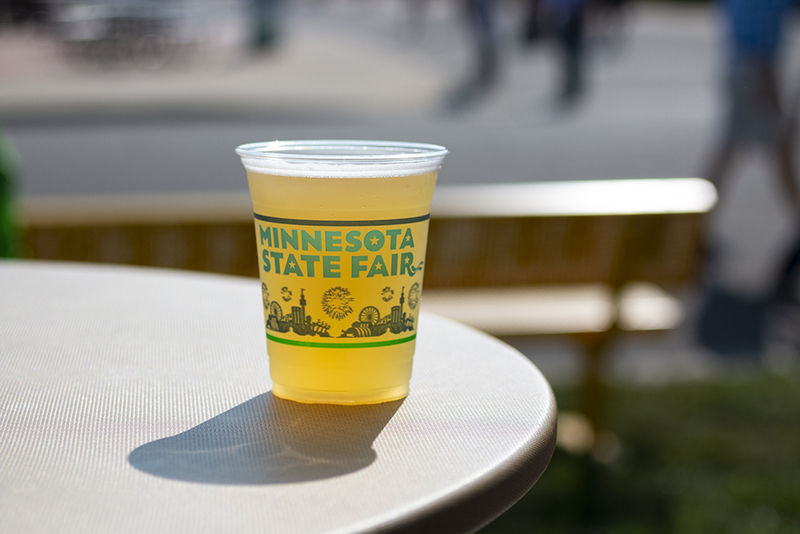 for the State Fair. There are some blood orange notes among the breadiness of this fine German lager, but we wished it was dialed up a notch or two. An explosion of hops on the nose, and a bitter sip with a soft mouthfeel. 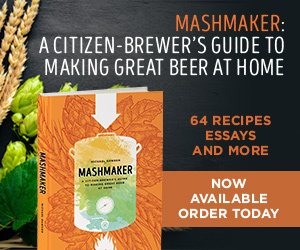 Leaves you with a lingering, resinous hop character. 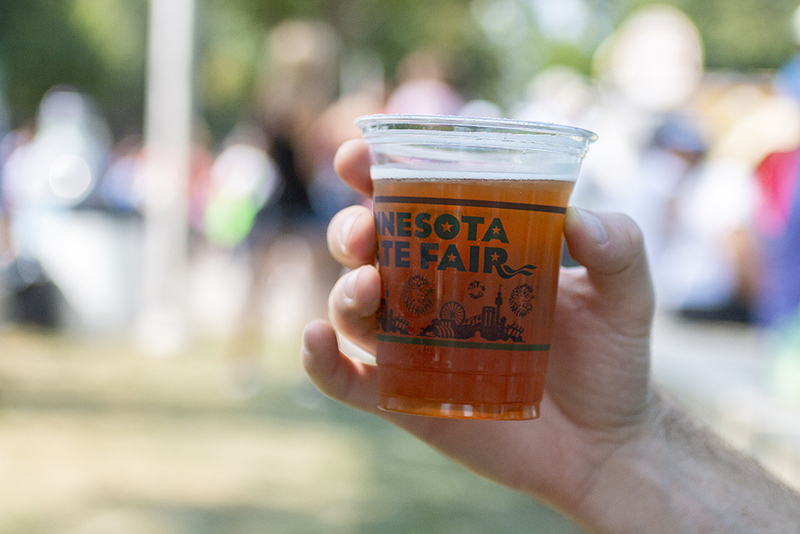 It’s a Surly IPA, folks—you know what you’re in for. It’s effervescent, with saline tang and lime zest on the nose. Not too much citrus on the body and not terribly sour, either. The tiniest floral note comes on late. Inoffensive for a sour but saline throughout. It doesn’t have much bearing on the gelato of the same name, but we don’t mind. You get some berries on the sip, not so much the promised vanilla, and the pistachios kind of act like tannin. Don’t go in thinking it’s a sweet ice cream beer, and get a scoop on the side. The base beer tastes incredibly similar to Lift Bridge Mini Donut, with that same biscuity note being uber-present, but this time it’s accompanied by a limey-sweet tang. The citrus flavor strays a tad on the artificial side, but it’s not really there by the end. 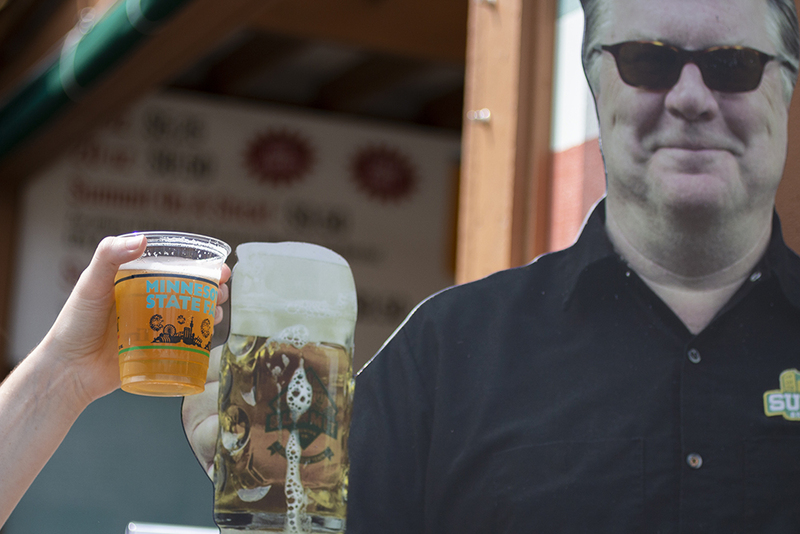 The high hopes we had for this beer aren’t met, but neither are they dashed. 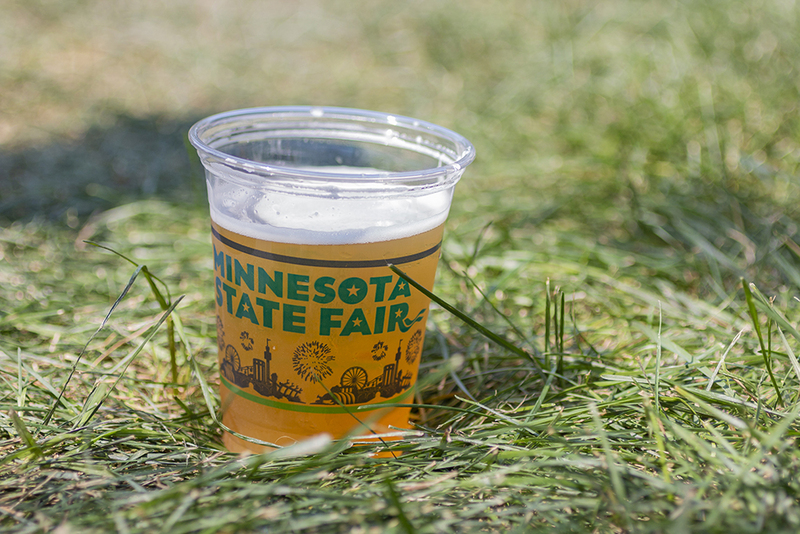 The most expensive beer at the Fair ($9 for 12 ounces) is also one that we’re not sure is right for the Fair. Out of a pint of plastic, we get blistering acidity and racy stone fruit flavor, but we’d by far rather drink this one out of a proper glass at home and savor the nuance that Starkeller beers are known for. A great beer in the completely wrong setting. 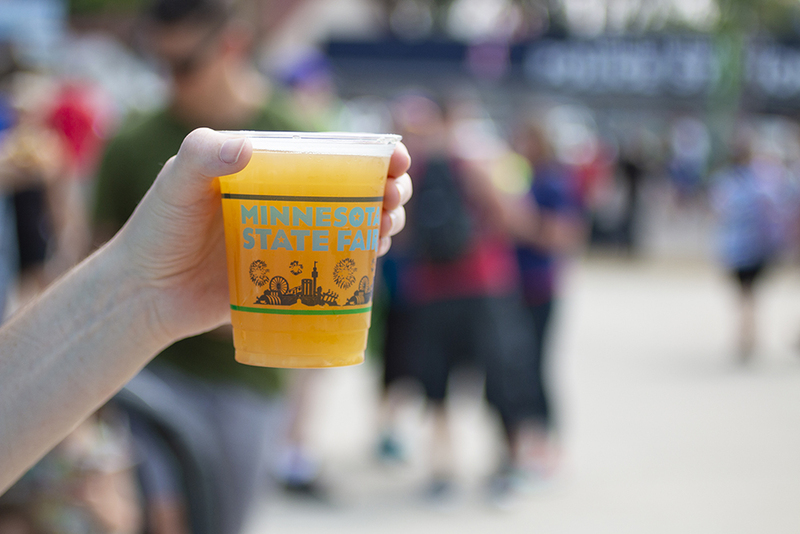 It’s cider mixed with peach puree. End scene. Light orange color with good foam and citrusy hops on the nose, it’s like a NEIPA but without much of the juicy character. Hazy, mouth-coating, yeasty, turbid, bitter finish. Again, it’s a Surly! 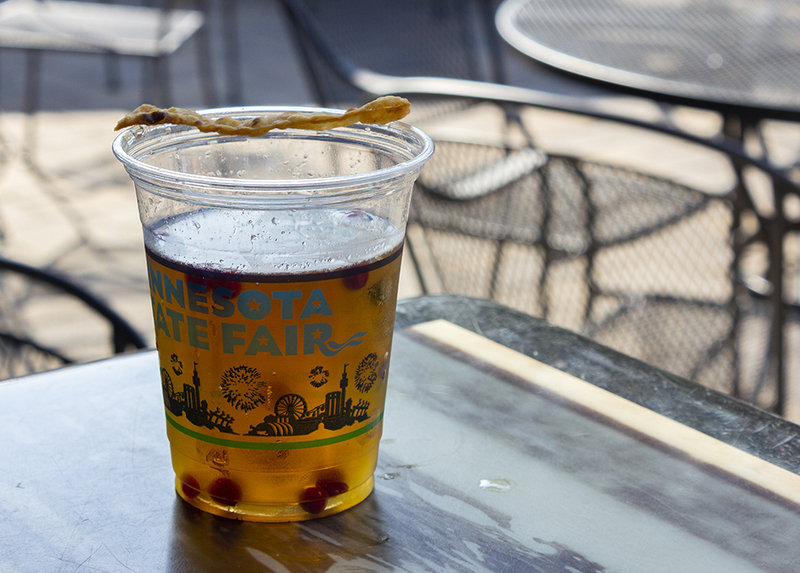 2018’s inductee into the Hall of Garnish Fails goes to the Uffda Ale and its shard of lefse. 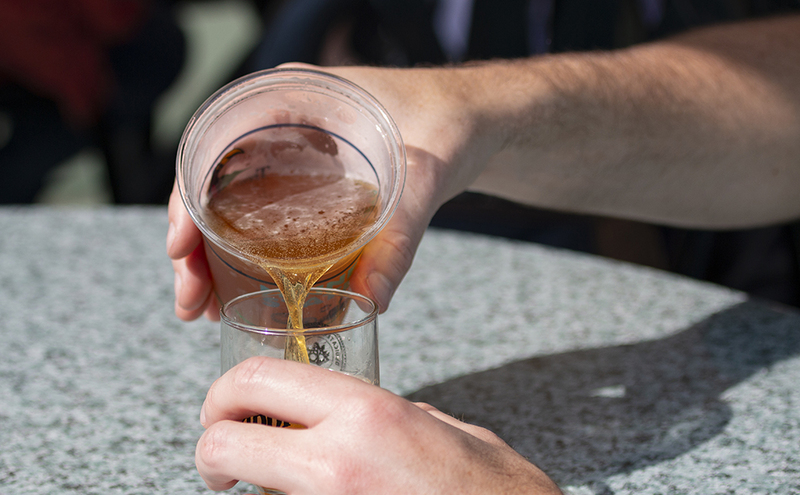 Fried to a golden sheen and jabbed into the surface of the beer, it promptly leaks fryer oil into the liquid, dominating both the aroma and flavor throughout. On its own, the beer is generically malty, if a little unbalanced, though the lingonberries bobbing in the foam do add a little burst of freshness. 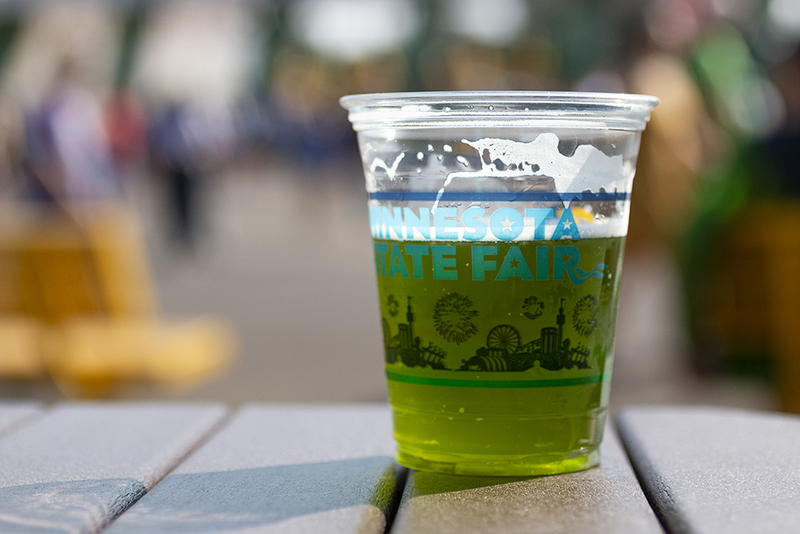 It’s the craft version of Bud Light Lime and that’s about what it lives up to. Very light body, a bit of lime flavor, anodyne overall. It’s green, that much is spot on. 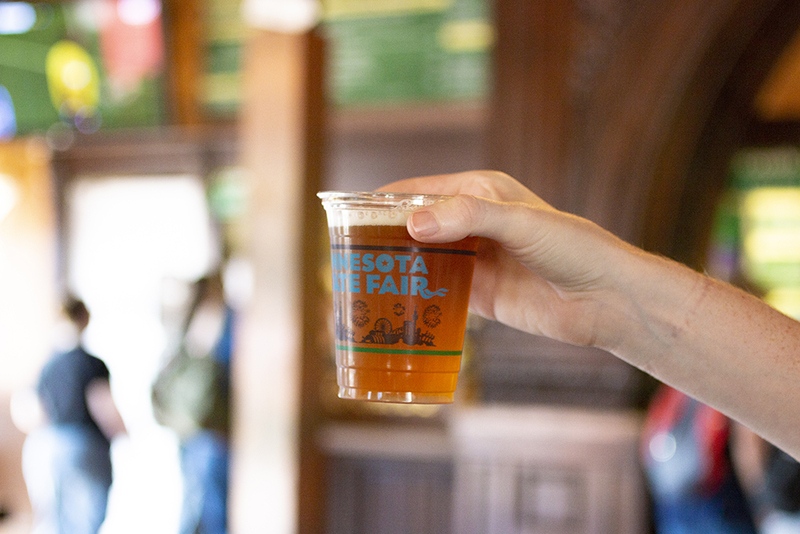 Otherwise, this FINNEGANS-brewed one-off smells like beer and tastes like beer. We’re not sure why anyone would order this beer with so much other good stuff at O’Gara’s. A crazy attempt that didn’t quite hit the mark. Intense black licorice aroma carries through on the sip but conflicts with the beer’s lighter body and the bitterness of the hops. It’s confusing, to say the least, (maybe the licorice would have fared better in a nut brown ale or porter? ), with the grainy sugar on the rim just adding to the shrug-worthy mystery. 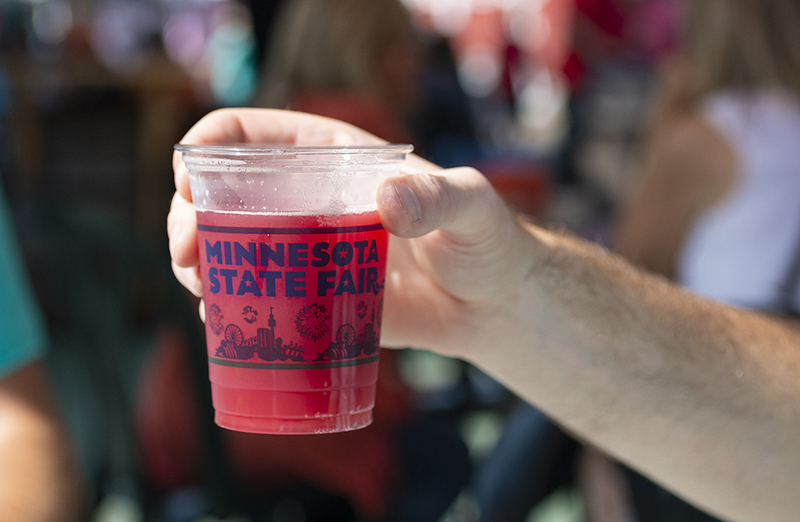 We’re starting to get the idea that the State Fair is not the right place for sour beer. This one poured light orange, smelled a little like vinegar, tasted flat and funky, and had a persistent savory note. It raises the question, why can’t Eastlake pour their excellent Sun Dogs IPA anywhere around here? An aroma of artificial citrus, strange and watery shandy-like sip, and leathery note toward the finish. 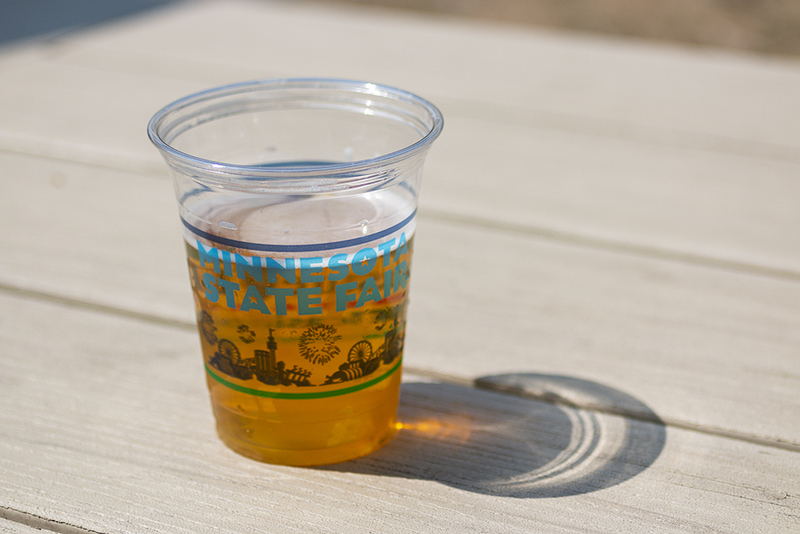 It lacked the clean, crisp apple flavor that we would have expected from a beer made with pressed apple cider. 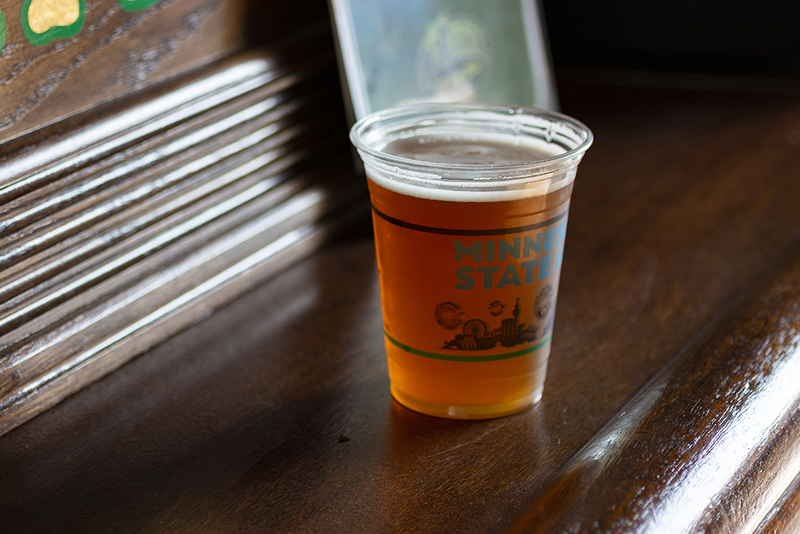 Editor’s Note: We were unable to try FINNEGANS Caramel Corn Cream Ale at Hildebrand Concessions during our tasting excursion, but will update this post when we are able to sample it.